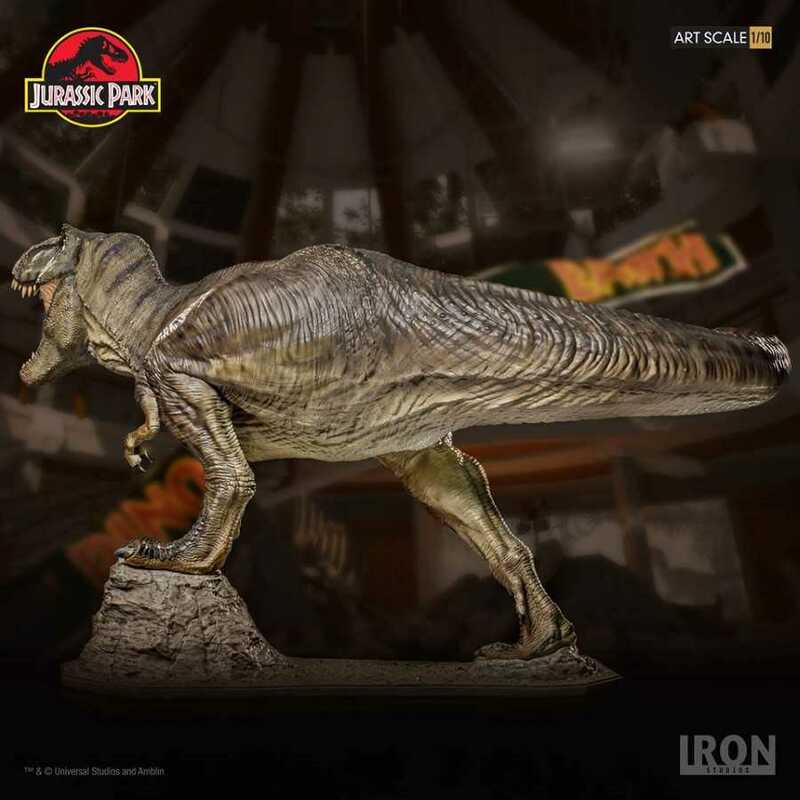 Iron Studios is proud to bring you this exiting and highly detailed limited edition Jurassic Park 1:10 Art Scale T-Rex statue. “The T-Rex doesn’t want to be fed, he wants to hunt and you can’t just suppress 65 million years of gut instinct." 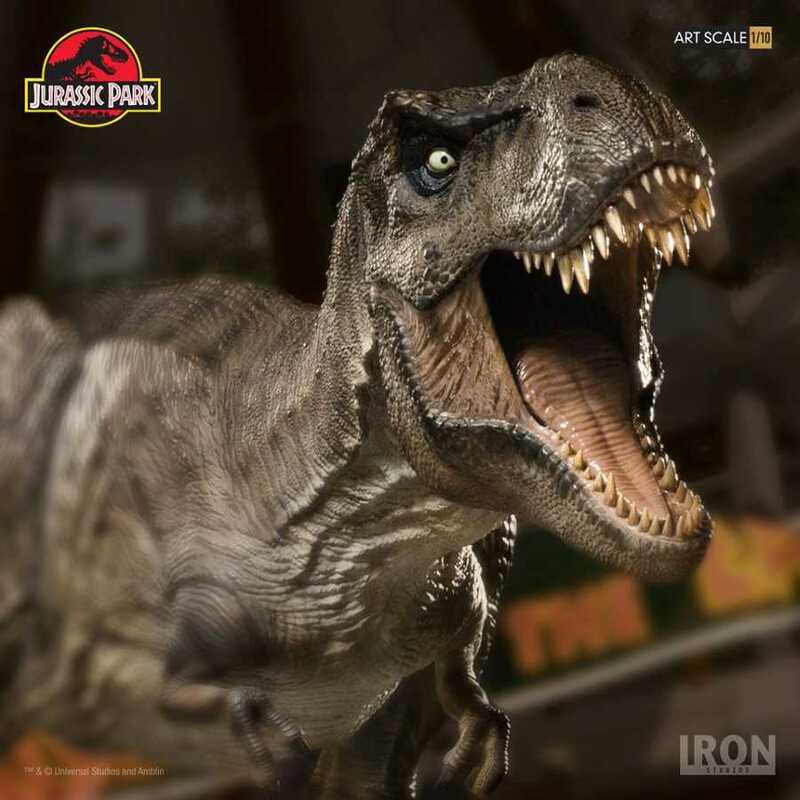 Iron Studios presents the Jurassic Park movie mighty T-Rex 1:10 Art Scale statue. 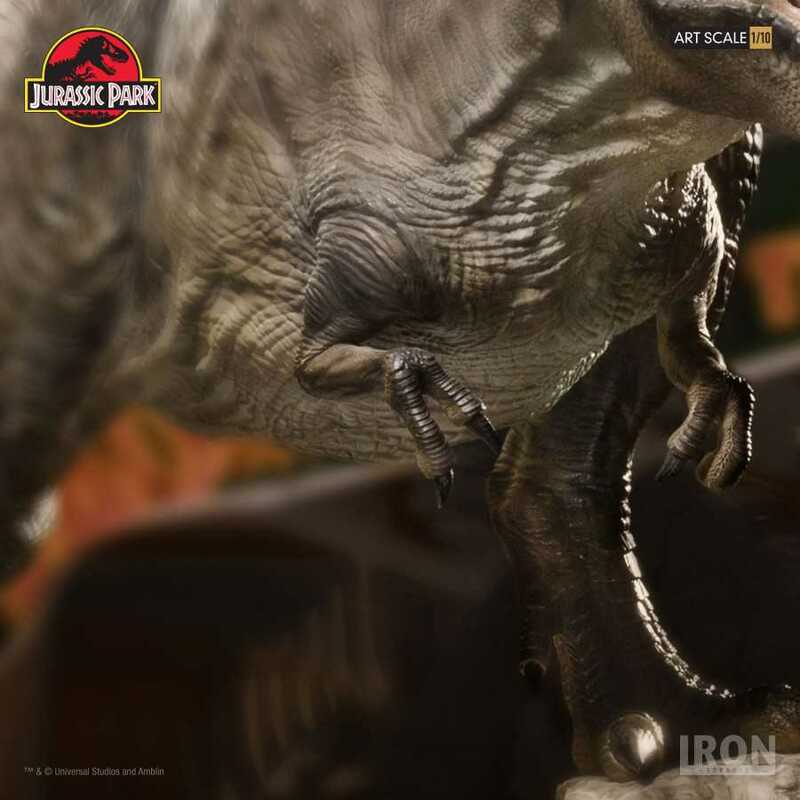 This T-Rex statue has been designed to represent the T-Rex not long after she breaks through the fence where she terrorizes our heroes in the film and she will fit in with the additonal Jurassic Park 1:10 Art Scale releases from Iron Studios to form a complete “T-Rex Attack” diorama once all pieces are released and assembled. 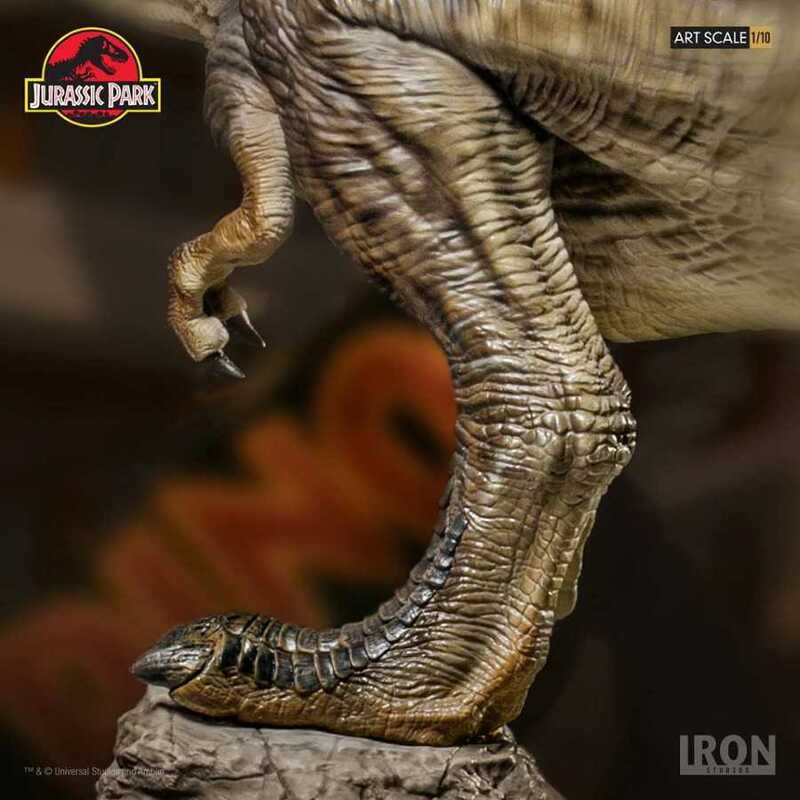 Please note that this particular release comes with an exclusive rocky base which features a Jurassic Park logo and this will not be available with the bundle released in the future which will also include this T-Rex. 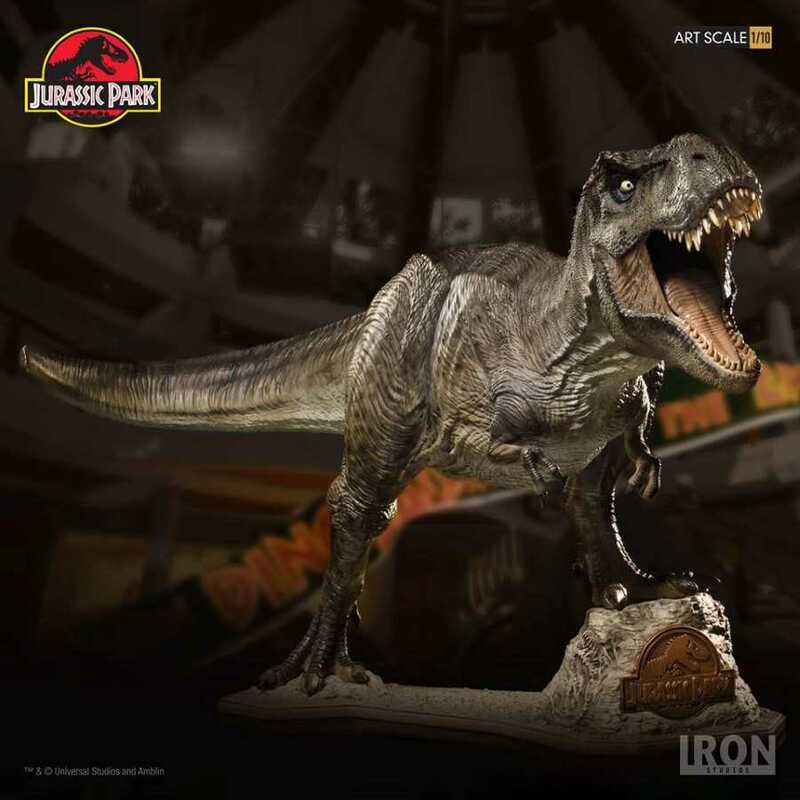 This exciting and limited edition statue of the T-Rex is hand-painted and crafted in polystone and uses original references from the hit film. 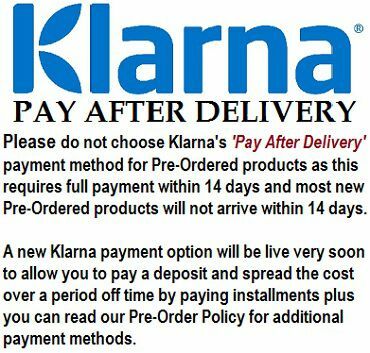 Order yours today to bring home this behemoth! Jurassic Park™ and Jurassic World™ and all related marks and logos are trademarks and copyrights of Universal Studios and Amblin Entertainment, Inc. Licensed by Universal Studios. All Rights Reserved.